It was a tough workout and everyone was having to dig down deep to complete it. Took me over an hour. I love the camaraderie that Crossfit Pride has. I have a twin sister named Traci. She is a nurse. I was going to try out other gyms in the area. I started with Crossfit Pride because it was close to my work. After the first few workouts, I couldn’t leave, I was hooked. I LOVE how welcoming everyone is, the dedication of the coaches to make sure I am doing everything correctly and to push me to do my best, and all the amazing athletes who workout at Pride. It is more than a gym!! 6. 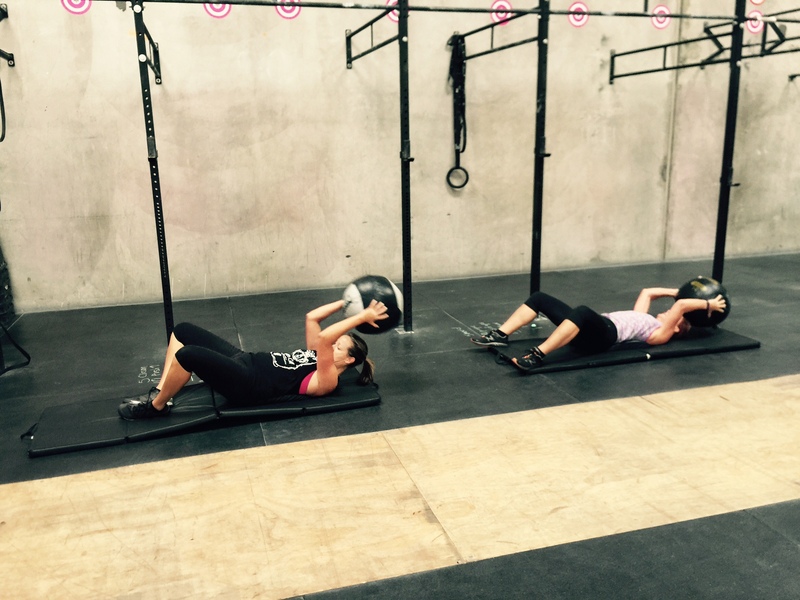 How did you find Crossfit to begin with? I started Crossfitting over 12 years ago with my sister and her husband. All the team guys worked out together and Joost started to develop his own gym at his house. Crossfit was the new trend and we all feel in love with it. About 10 years ago, I decided to find an official gym to learn from trained coaches. I attended the first Crossfit Games with the Crossfit San Diego team. I didn’t compete though. I was still pretty new to it all. It was such an exciting experience. CJ Martin was one of the coaches at my gym and he decided to open Crossfit Invictus. I followed him to his new gym. I worked out there for about a year. I continued crossfitting with my sister and her husband in their own private gym for years. Once I got married 5 years ago and opened Off Broadway Live 4 years ago, my workouts took a back seat. Slowly my fitness became a low priority. 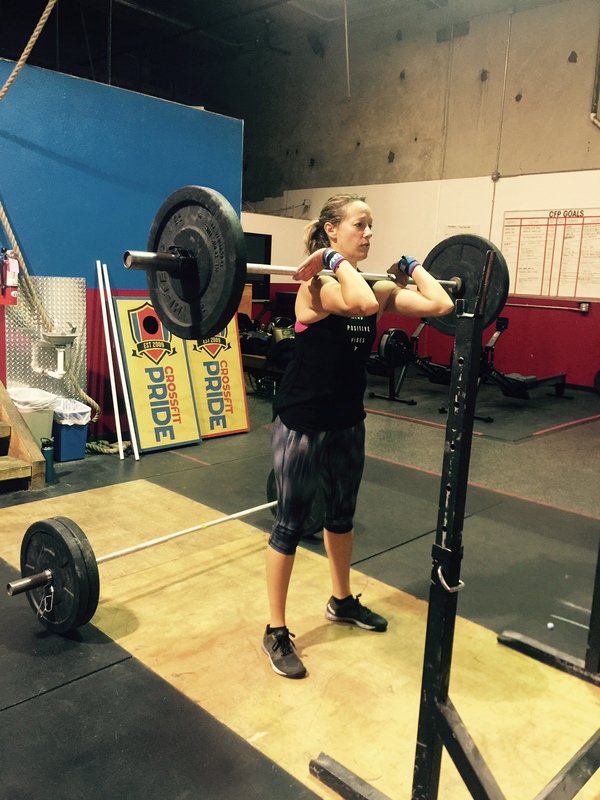 February 2016 I decided to make my fitness a priority again and joined Crossfit Pride. Strict pull ups and push ups – I would love to not have to use the bands anymore!! Rope climb – I want to be able to get to the top! 8. How did you react to being chosen for teacher of the year? Being Santee School District’s Teacher of the Year was an absolute shock. I am still pretty young in the district and being selected out of hundreds of teachers was a huge honor. I do give a lot of credit to my DREAM Team and other teachers who have inspired me to become the teacher I am today. I couldn’t have done it alone!! I feel extremely appreciative of the opportunity to represent the district at the county level and meet the 43 other Teachers of the Year. I was given the opportunity to reflect on my teaching practice, share my passion for teaching with others, and learn from so many. I feel blessed. I love playing volleyball – indoor, outdoor, grass, sand, etc..doesn’t matter – right now my girls and I are the reigning champs of our indoor league!! Country dancing – I was a regular at Incahoots for a few years! Traveling – I have been all over Europe and Asia. I want to go to Australia, Africa, Costa Rica, and Alaska.